The 41" Red Mini Band is the lightest of the bands we carry, and is typically used in rehab/prehab movements (like rotator cuff exercises) and can be used by itself or by attaching it to barbells, free weights or machines. It is also used for stretching routines as well as for lower body work for lighter athletes. Resistance is 5 – 35 pounds. The Black Monster Mini Band – 1″can be used for various upper body strengthening exercises either by itself or by attaching it to barbells, free weights or machines. It is also used for stretching routines as well as for lower body work for lighter athletes. 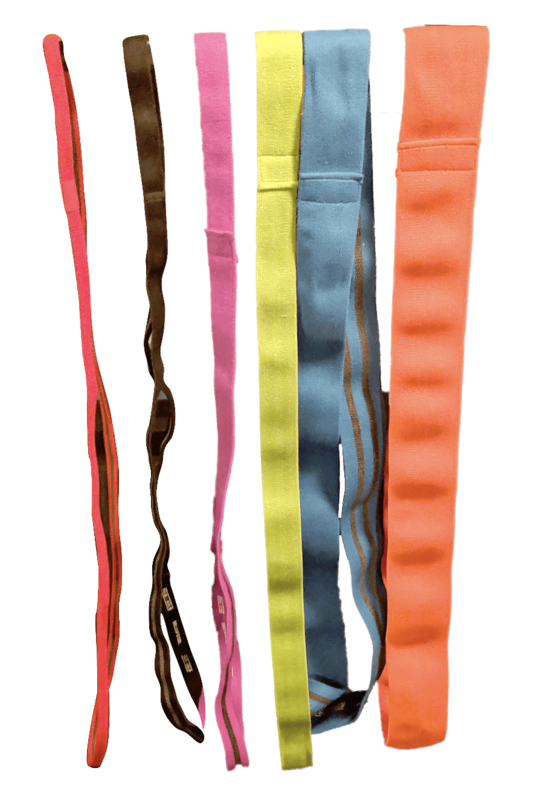 Good choice as a general use band and specifically for adding resistance to people under 140 pounds during walks, high knees, or sprints. 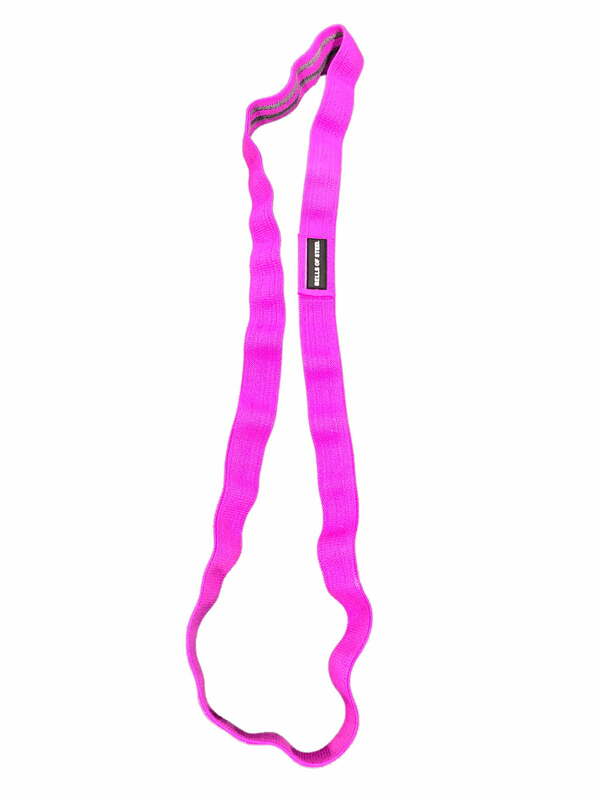 The Purple Light Band – 1.5″can be used for various upper body strengthening exercises either by itself or by attaching it to barbells, free weights or machines. It is also used for stretching routines as well as for lower body work for lighter athletes. Good choice as a general use band and specifically for adding resistance to people under 180 pounds during walks, high knees, or sprints. Resistance is 25 – 90 pounds. 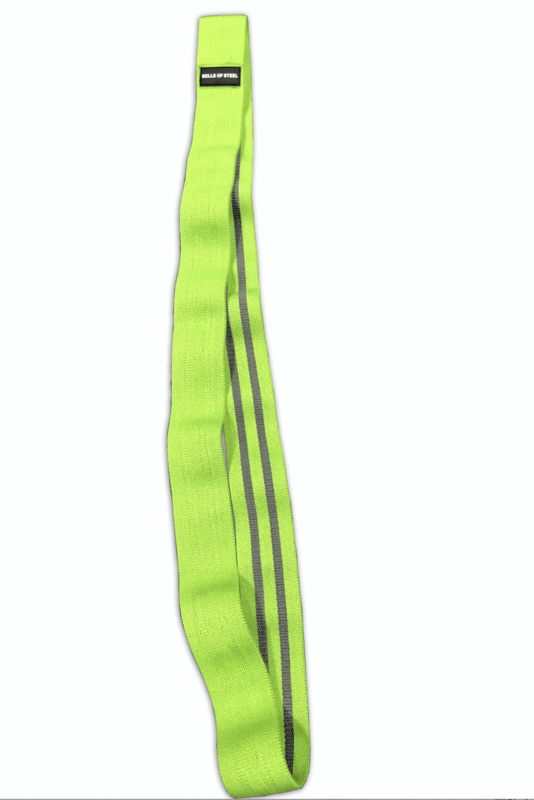 The 41" Green Average Band – 1.75″ Is the ideal band for assisted chin ups or other assisted body weight movements> It can be used for various upper body exercises, (for stronger athletes) and lower body strengthening exercises. It can be used either by itself or by attaching it to barbells, free weights or machines. It is also used for stretching routines for stronger athletes. This band is also a good size for general use and for adding resistance to people from 140 to 200 pounds for body movements. 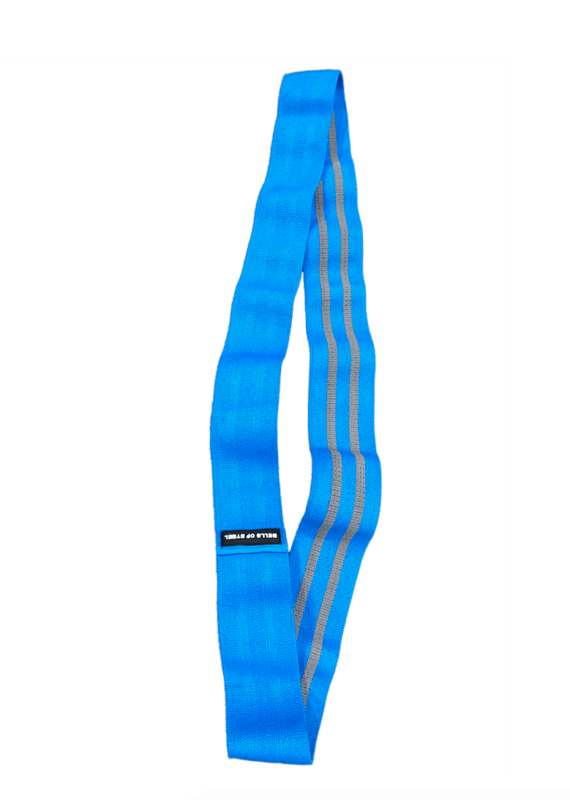 The 41" Blue Strong Band – 2.5″ Is recommended for advanced athletes and can be used for upper body exercises like bench press, and rack pulls by advanced athletes and for lower body and other exercises like squat, leg press and so on. It can be used either by itself or by attaching it to barbells, free weights or machines. Primarily used for adding weight to power lifts. Resistance is 70 to 175 pounds. Recommended for advanced athletes and can be used for exercises like bench press, rack pulls, squats, and so on. 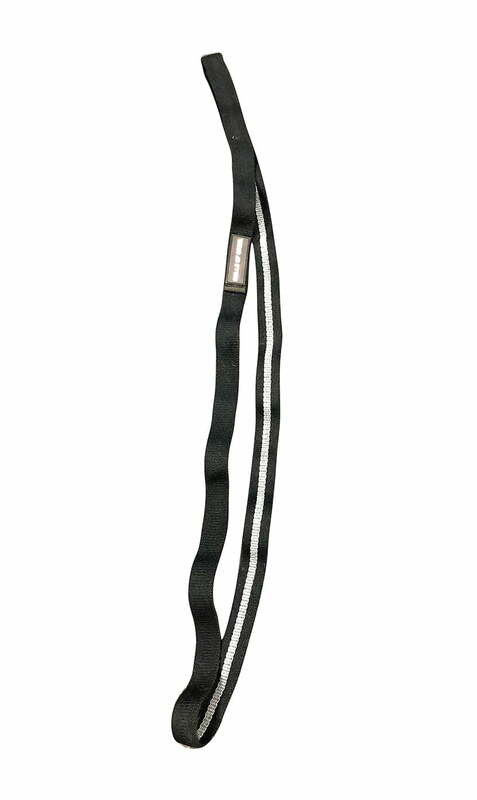 It can be used either by itself for assisted pull ups or by attaching it to barbells, free weights or machines.